My Grandson, Neal, and I went on a dive trip to Cayman Brac in March of 2005. These are some of the pictures. I have about 400 of this trip because everyone in the group who took pictures put theirs on a cd and shared with the other divers on the trip. Was a great dive trip. Not quite as good diving as Little Cayman where I went in 1996. 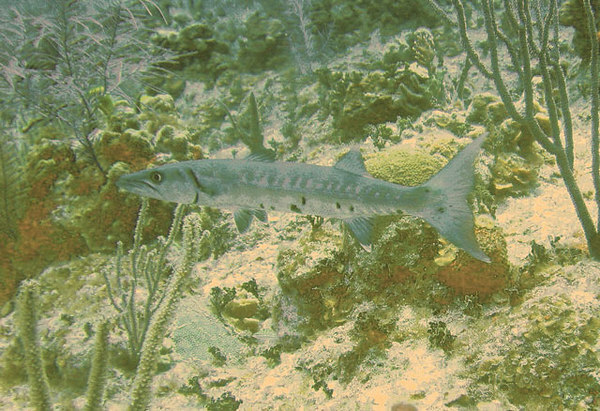 Small Barracuda. Probably about 2 feet long.